Note: A minimum quantity of 1296 must be ordered, and in units of 6 thereafter. 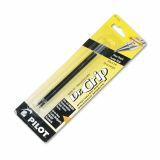 Pilot Refill, Better/EasyTouch/Dr Grip Retract Ballpoint, Fine Tip, Blk, 2/Pack - Ink refills fit Dr. Grip, Dr. Grip 1+1, Dr. 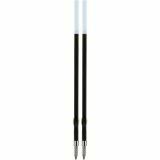 Grip Center Of Gravity, BP-X, EasyTouch Retractable, Renegade, GX-300, EasyTouch Ret and Better Retractable.